The Japan Patent Office (JPO) revised its screening criteria to prevent all era names from being registered as trademarks. The amendment came as the country prepares for the change in May of the current era name following the abdication of Emperor Akihito on April 30, 2019. Japan will start using the new name from May 1 when Crown Prince Naruhito ascends to the throne. The government announced to unveil the new era name on April 1, a month before the Imperial succession, to mitigate the impact of the change on people’s lives. 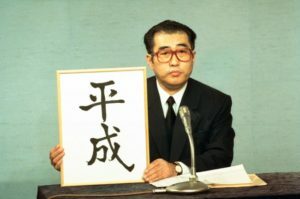 There was concern that the JPO might be flooded with requests to register the new era name for trademarks during the last month of the Heisei Era, which commenced on Jan. 8, 1989. According to the JPO, more than 100 trademark registration applications for merchandise and company names using “Heisei” were filed in January of that year. Under previous criteria, there was room for era names, except Heisei, to be registered as trademarks. The revised guidelines to ensure trademarks do not feature any era name now clearly state that all era names, in principle, cannot be used for trademarks. However, even after the revision, familiar product and corporate names already using old era names, such as Meiji Holdings Co. and Taisho Pharmaceutical Co., will continue to be treated as exceptions. 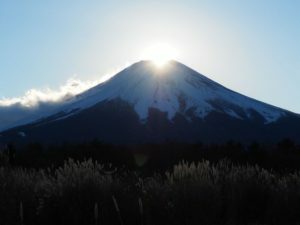 Posted on 2019年2月10日 by Masaki MIKAMI in examination, New Trademark Law, Trademark Examination Guideline and tagged emperor, Era name, heisei, trademark examination guidelines.